We see at once that M in the total must be 1, since the total of the column SM cannot reach as high as 20. Now if M in this column is replaced by 1, how can we make this column total as much as 10 to provide the 1 carried over to the left below? Only by making S very large: 9 or 8. In either case the letter O must stand for zero: the summation of SM could produce only 10 or 11, but we cannot use 1 for letter O as we have already used it for M. If letter O is zero, then in column EO we cannot reach a total as high as 10, so that there will be no 1 to carryover from this column to SM. Hence S must positively be 9. Since the summation EO gives N, and letter O is zero, N must be 1 greater than E and the column NR must total over 10. To put it into an equation: E + 1 = N From the NR column we can derive the equation: N + R + (+ 1) = E + 10 We have to insert the expression (+ 1) because we don’t know yet whether 1 is carried over from column DE. But we do know that 1 has to be carried over from column NR to EO. 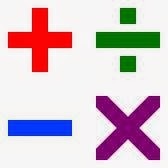 Subtract the first equation from the second: R + (+1) = 9 We cannot let R equal 9, since we already have S equal to 9. Therefore we will have to make R equal to 8; hence we know that 1 has to be carried over from column DE. Column DE must total at least 12, since Y cannot be 1 or zero. What values can we give D and E to reach this total? We have already used 9 and 8 elsewhere. The only digits left that are high enough are 7, 6 and 7, 5. But remember that one of these has to be E, and N is 1 greater than E. Hence E must be 5, N must be 6, while D is 7. Then Y turns out to be 2, and the puzzle is completely solved. © Copyright Dover Publications, Inc., New York, 1954, ISBN 0-486-20198-8. Since every four-digit number is less than 10,000 and every three-digit number is less than 1,000, the sum of two such numbers is necessarily less than 11,000. This sum, though, is a five-digit number, hence is greater than 10,000. Consequently, A must be 1 and P must be 0. Further, we can conclude that T = 9. Otherwise, we would be adding a number less than 1,000 to one less than 9,000, leaving us short of the requisite total. The units column then produces E = 8 while generating a carryover of 1 into the tens column. Together with the previously found value of A, we learn from the tens column that L = 3. Finally, the hundreds column yields the equation E + H = P + 10, where the "10" is required to accommodate the needed carryover into the thousands column. When the values of E and P are substituted into this relationship, we get 8 + H = 10, from which it follows that H = 2. Therefore, the unique solution of the puzzle turns out to be 819 + 9219 = 10038. © Copyright Baywood Publishing Company, Inc., Amityville, New York, 1996, ISBN 0-89503-142-6. Obviously H = 1. From the NUNN column we must have "carry 1," so G = 9, U = zero. Since we have "carry" zero or 1 or 2 from the ONOT column, correspondingly we have N + U = 10 or 9 or 8. But duplication is not allowed, so N = 8 with "carry 2" from ONOT. Hence, O + O = T + 20 - 8 = T + 12. Testing for T = 2, 4 or 6, we find only T = 2 acceptable, O = 7. So we have 87 + 908 + 87 = 1082. © Copyright Dover Publications, Inc., New York, 1983, ISBN 0-486-24500-4. In the second partial product we see D x A = D, hence A = 1. D x C and E x C both end in C, hence C = 5. D and E must be odd. Since both partial products have only three digits, neither can be 9. This leaves only 3 and 7. In the first partial product E x B is a number of two digits while in the second partial product D x B is a number of only one digit. Thus E is larger than D, so E = 7 and D = 3. Since D x B has only one digit, B must be 3 or less. The only two possibilities are 0 and 2. B cannot be zero because 7B is a two-digit number. Thus B = 2. By completing the multiplication, F = 8, E = 7, and G = 6. The answer is 125 x 37 = 4625 © Copyright Dover Publications, Inc., New York, 1963. Here a 3-digit number is the product of a 2-digit number multiplied by itself. Basic knowledge of the laws of multiplication will immediately force the conclusion that B cannot be greater than 3. For if B is 4, and the lowest possible value, 0, is assigned to E then BE = 40. However, (40)(40) = 1,600, a 4-digit number, and the product in the puzzle to be solved has but 3 digits. Convention demands that the initial letters or symbols of alphametics cannot be 0, so B is either 1, 2, or 3. Another convention demands that 2 different letters cannot be substituted for the same digit. That is, if B turns out to be 3, then no other letter in this alphametic could stand for 3. Attention can be directed to E since much can be deduced from the fact that (E)(E) ends in B. If E equals 0, 1, 5, or 6, then the product would be a number ending in 0, 1, 5, or 6, respectively. Since the product, MOB, does not end in E, these numbers for E are eliminated. 2, 3, 4, 7, and 8 can also be eliminated as values for E, since they would yield the terminal digits of 4, 6, or 9 for MOB, and B has been established as being 1, 2, or 3. Only one value for E, 9, remains: (9) (9) = 81 so B = 1, and the alphametic is solved: (BE) (BE) = MOB is (19) (19) = 361. © Copyright Dover Publications, Inc., New York, 1979, ISBN 0-486-23762-1. Now in the third column from the left in the example the sum of the digits W, U, and W must be more than 9, since 1 had to be carried over from this column into the column on the left. The values in the first two rows of the array are too low for this, however, hence we can cross out both of these lines. A further consideration of the sum of the digits W, U, and W in the third column from the left, coupled with the fact that M is known to be odd, shows that in the third row of the array M must be 3 while in the fourth row it must be 7. This permits us to reject the third row of the array also, for it contains 3 for both M and W, which is impossible. The correct solution must therefore be the one contained in the fourth row. Hence R is 9, U is 8, M is 7, and W is 4. Substituting these into the problem it is a simple matter to determine that A is 6, I is 2, N is 3, and P is 1. This completes the solution.